Pleasant and occasionally quite captivating ear candy, but difficult to distinguish from the rest of the electronic crowd. In the early part of the decade, Oakland, California-based label/collective Anticon saw between the cracks of popular music to offer what was, at the time, a genuine alternative to the dominant sounds of the era. Running counter to such trends as indie-rock’s resuscitated garage-rock traditionalism, hip-hop’s ever expanding accessibility and electronic music’s newfound commercial viability (if only as aural wallpaper for the advertising world), the Anticon crew sat on the fringes of all three genres, occasionally tagged “ambient hip-hop” or “avanthop” in an appropriately vague attempt to define their thrillingly idiosyncratic sound. But just as Anticon made no explicit claims for mainstream aspiration or accessibility, what the music itself made clear was that the collective’s offbeat niche was never so much a punkish reaction against anything in particular as it was simply a product of the artists’ fiercely creative insularity. By sheer design, they sat comfortably removed from a pop mainstream that was itself, at that time, strictly divided among genre lines. Once consisting almost entirely of the individual and collaborative projects of its seven founders -- the artists known as Alias, Doseone, Jel, Odd Nosdam, Pedestrian, Sole and Why? -- Anticon has since expanded to include a number of fresh but like-minded acts from outside the original collective, behaving much more like an actual label in recent years than simply a particularly inventive group of friends. Far from increasing their profile to the level of such indie success stories as Saddle Creek or Arts & Crafts, Anticon has remained more or less under the popular radar, the domain of scenesters and indie-rock critics. Outside, though, the musical world was changing. Just as the Anticon crew were co-operatively working out their genre bending sounds on the early recordings of cLOUDDEAD, Themselves, Deep Puddle Dynamics and Subtle, the pop mainstream started to become similarly unbound at the seams. Where a certain hyper-self-conscious rigidity existed before, musicians and fans alike began acknowledging the sheer diversity of sounds that populated our post-millennial musical landscape. Radiohead made records that utilized at least as much knob-twiddling electronics as they did traditional rock instrumentation, and a new breed of indie bands followed suit. Hit singles by such nominally “urban” artists as OutKast and Kanye West got airplay on “alternative” radio stations alongside the likes of the White Stripes and the Killers. A new breed of hipsters and rock critics alike openly embraced acts as radio-friendly (and decidedly non-rock) as Justin Timberlake, Kelly Clarkston and Rihanna. The omnipresent Timbaland produced records for artists as popular as Nelly Furtado and 50 Cent and as fashionably cool as Björk and M.I.A. Even in more notably hipper circles, where a new Britney Spears single suddenly had all the credibility of a new Arcade Fire album, the message was clear that guitars were no longer a pre-requisite for “cool". With an array of sounds still far too dense and esoteric to ever penetrate the mainstream, the pop charts have nevertheless come to inadvertently resemble, in spirit if not in actual design, Anticon’s trademark sense of stylistic ambiguity. The story of Anticon, then, is not so much the story of American popular music as it is a distorted carnival mirror image held up to its constantly shape-shifting body. Just as we have learned to never know what to expect from the pop charts, though, longtime Anticon followers by now know all too well what to expect from the label. This is less a criticism than an observation. There is, after all, as much value to be found in refinement as there is in innovation (which the label, just to reiterate, has offered much of over the years), and the Anticon crew has continued to release consistent, at times even exceptional material -- Why?’s Alopecia, for one, remains one of the year’s most richly satisfying releases -- all while expanding its base and letting its stable of artists grow. But the fact that the current mainstream has rendered Anticon somewhat less freakishly distinct in its own blurring of the lines between pop, hip-hop, indie-rock and electronica remains an compelling, if minor, one. This absence of the shock of the new is particularly evident on Resurgam, the first solo release by label mainstay Alias since 2004’s terrific All Things Fixable. The, er, alias of producer/arranger Brendon Whitney, Alias’ releases all tend to skew towards the more strictly electronic end of the label’s sonic continuum, his affinity for populating his largely instrumental compositions with dark grooves and glitch-filled melodies making him as much of a peer to such genre titans as DJ Shadow or Boards of Canada as he is to his own label mates. 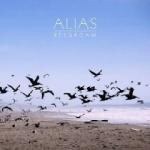 Given that Alias’ output tends to be somewhat more clearly derivative of a recognizable body of influences, Resurgam faces the uphill battle of being that much more difficult to distinguish from the rest of the electronic crowd, let alone the Anticon one. Fortunately, Whitney remains a crafty and talented arranger, and Resurgam is another solid, if rarely remarkable, collection of electronic mood music. Fresh from numerous collaborations and remix projects, Resurgam comes off as comfortable and relaxed, the sound of Whitney happy to be back on his home turf and exploring the range of his art. Opener “New to a Few", with its chanted vocals, laser-beam synth hooks and pulsating drum loops, resembles a late '80s-style hip-hop backing track, and a few other songs here, like the shuffling “M.G. Jack” and the nervous twitch of “Death Watch” similarly, if vaguely, hint at club-style dynamics. Just as often, Whitney revels in the more serene, almost new age-y textures of the ominous “Autumnal Ego” and the lovely “I Heart Drum Machines", while seasoning much of the album with similarly mellow sub-two-minute interludes throughout. And because this is an Anticon release, Why?’s Yoni Wolf makes his trademark appearance on “Well Water Black”, contributing a typically quirky rap to Whitney’s sputtering drum-and-bass arrangement. Perhaps the one thing that Anticon really does have in common with current mainstream pop and hip-hop is a heavy reliance on back-patting guest stars. It winds up being Resurgam’s most interesting song overall, if only by briefly severing the uniformity of the rest of the album, all too handily summarizing the dilemma that Alias -- and, possibly soon, Anticon as a whole -- may be facing. Resurgam is pleasant and occasionally quite captivating ear candy from an artist who may nevertheless have to work harder in the future in order to remain distinct.